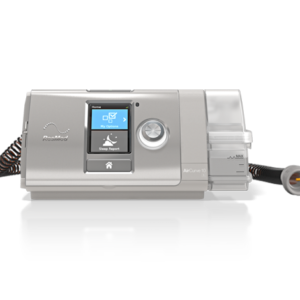 AirCurve™ 10 VAuto with HumidAir™ | Advanced Sleep Medicine Services, Inc. 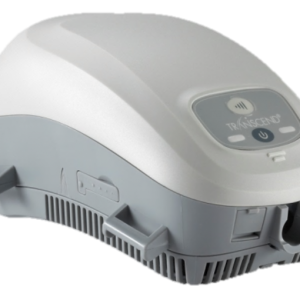 The ResMed AirCurve™ 10 VAuto with HumidAir™ is an auto-adjusting bilevel PAP device with integrated humidifier and cellular connectivity. 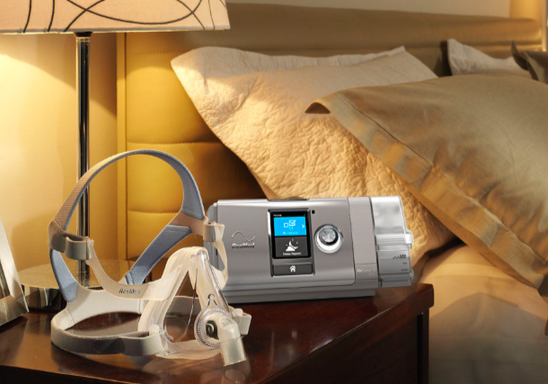 The ResMed AirCurve™ 10 VAuto is an auto-adjusting bilevel machine that uses the comfort of both the AutoSet™ algorithm and Easy-Breathe waveform in its VAuto algorithm to treat patients with challenging obstructive sleep apnea conditions who can benefit from greater pressure support. 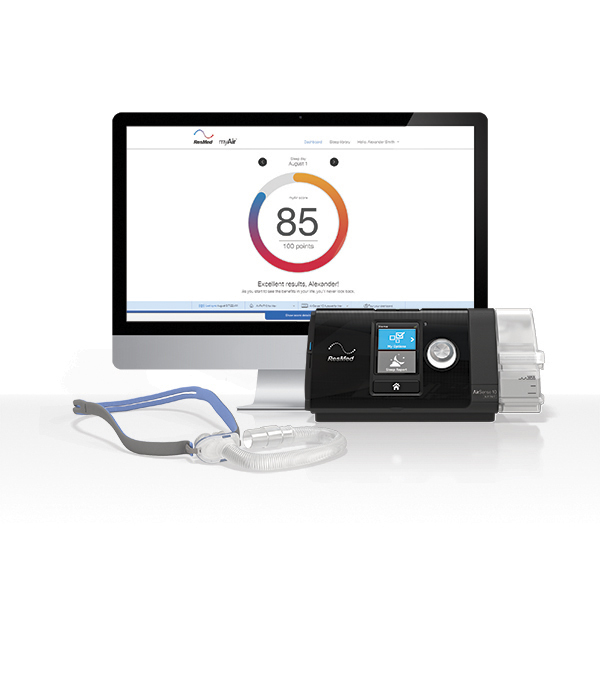 Simple and intuitive user interface provides feedback on your therapy every morning. The user-friendly controls, intuitive interface and color LCD screen make it simple to navigate menus and customize comfort settings. 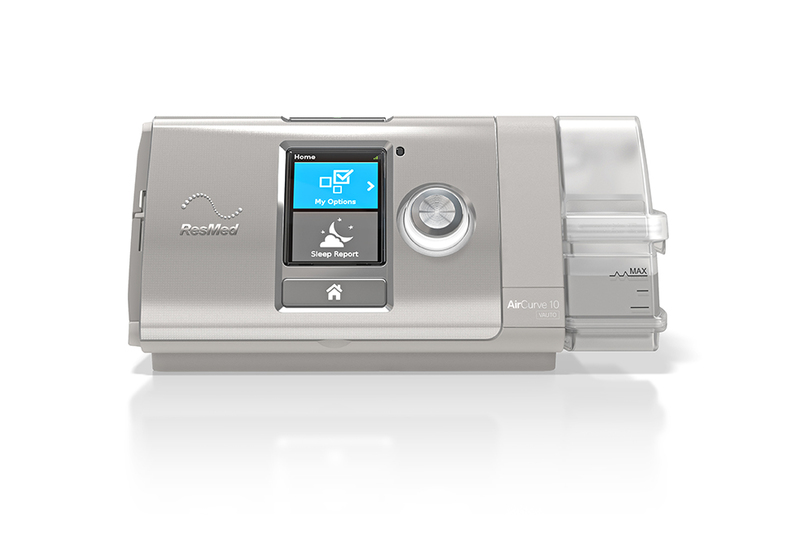 The ResMed AirCurve™ 10S with HumidAir™ is a bilevel PAP device with integrated humidifier and cellular connectivity. 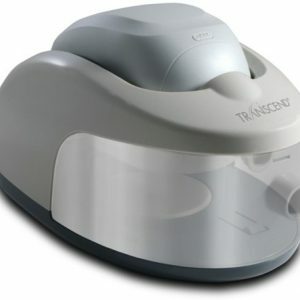 Transcend Mini CPAP is a lightweight and portable CPAP device designed for travel. Multiple power options are available.